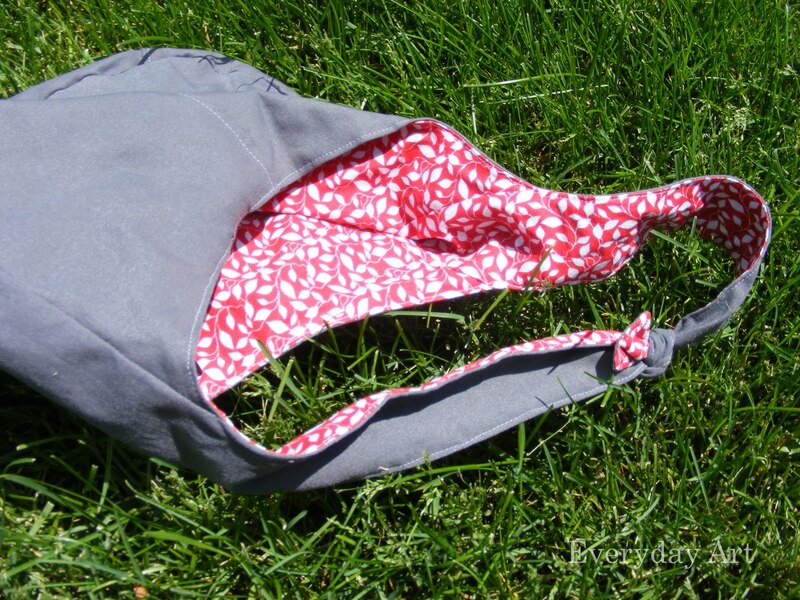 Who doesn't want a fun new bag for summer? Anyone? That's what I thought. So here's a quick and easy way to make one for yourself. First cut out your pieces. One for the front, one for the back, and a strap piece. 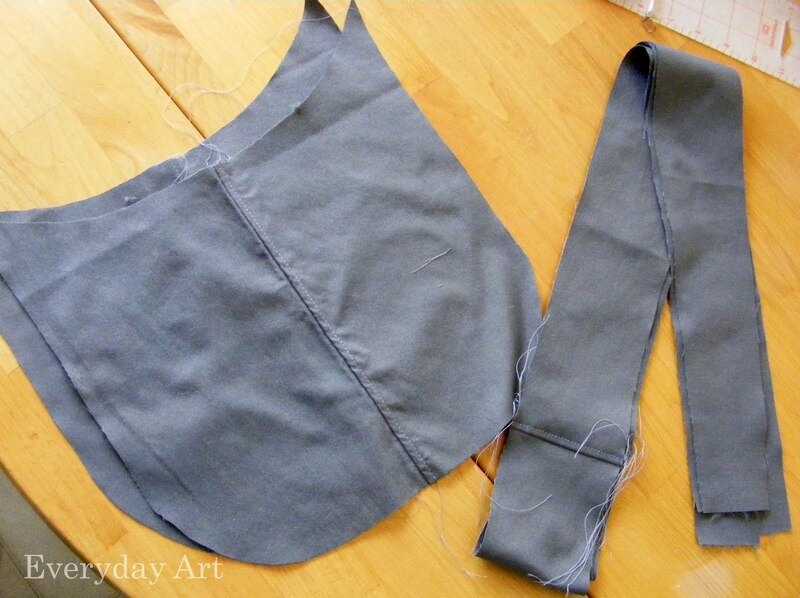 Pin the front piece to the strap with the right sides of the fabric together. 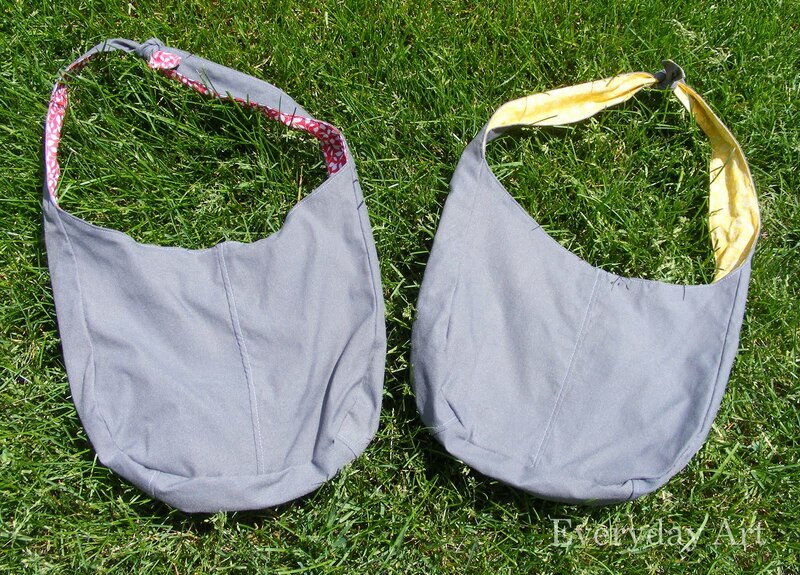 Make sure to match the center bottom of the front with the center bottom of the strap. Sew together. Repeat with the back piece. 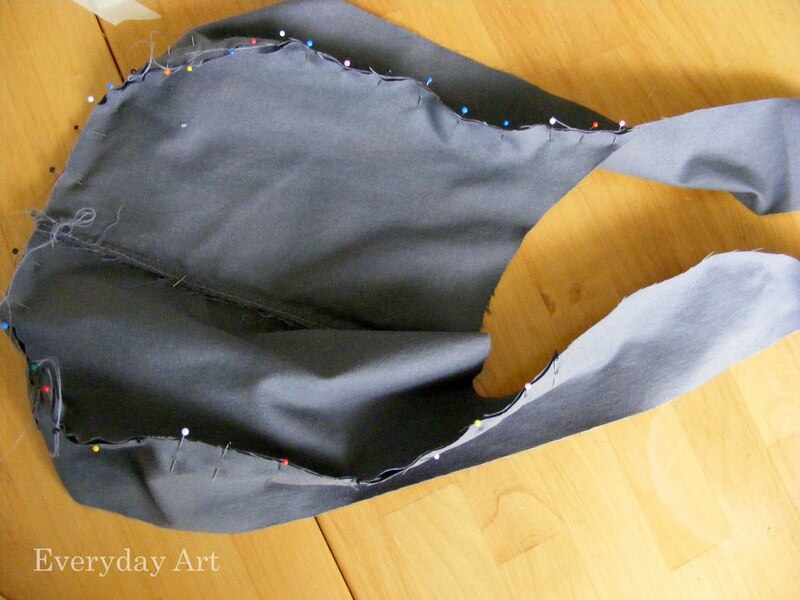 Repeat these steps with the lining fabric. 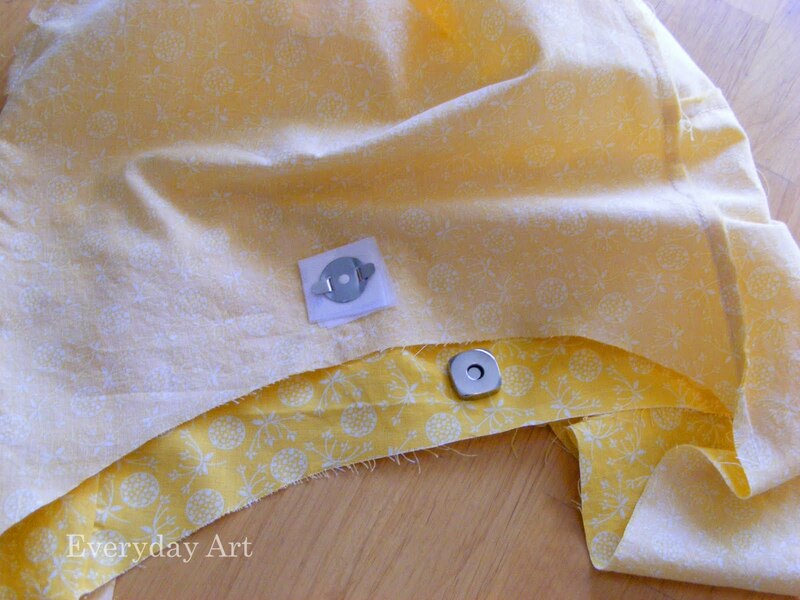 Add a magnetic snap to the lining. (Just follow the directions on the package). 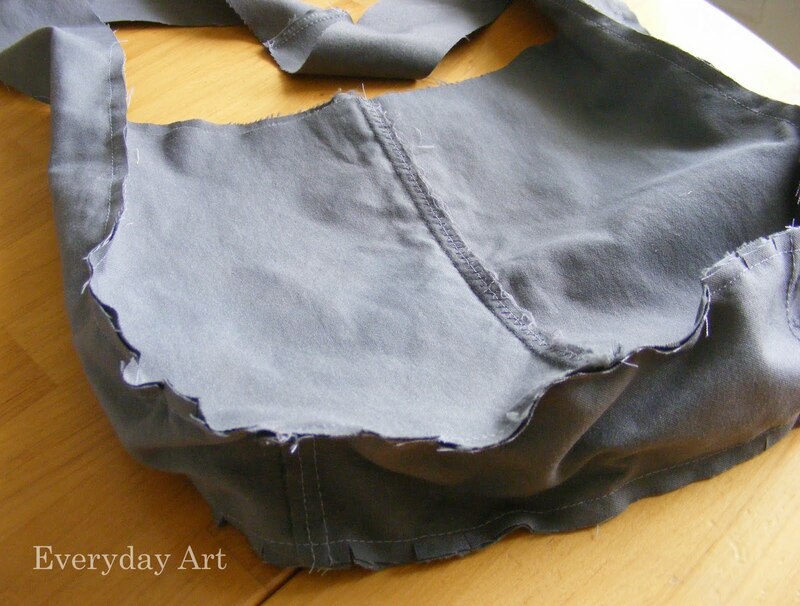 Put the lining inside the bag, matching up the edges and pin together. You should see the wrong side of both fabrics. 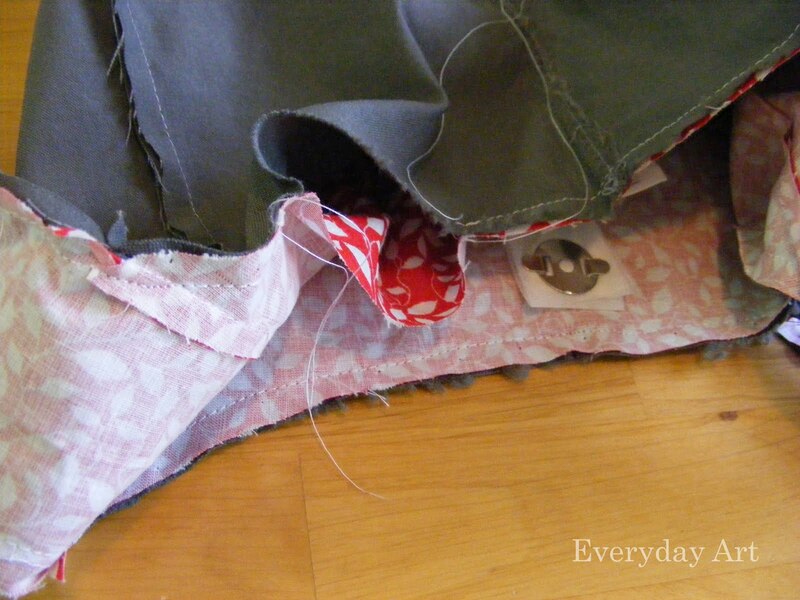 Sew around top edge leaving a hole. 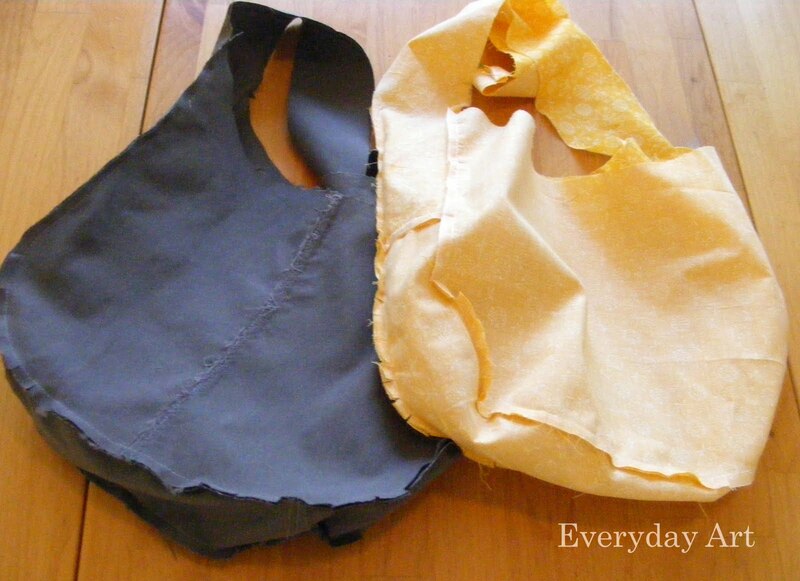 Turn bag right side out through the hole. 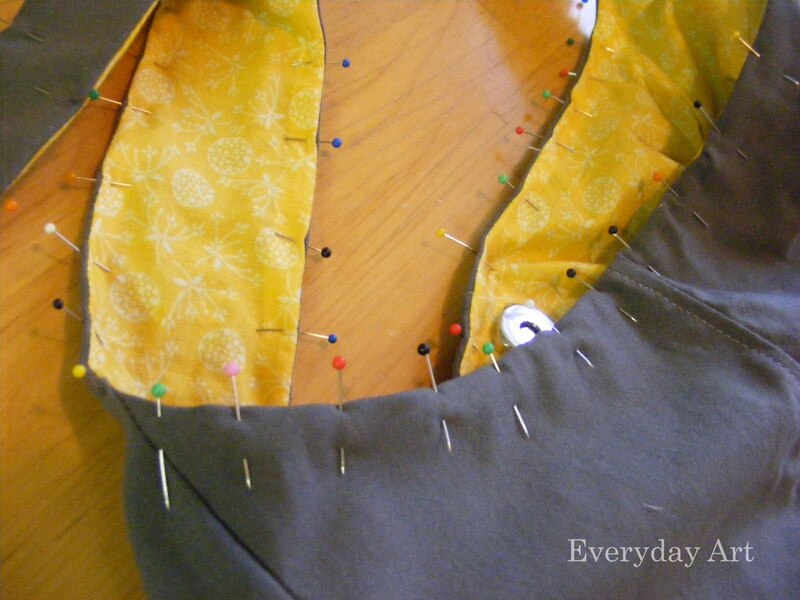 Pin the edges again so they lay flat and topstitch around edge. This will also close the hole. 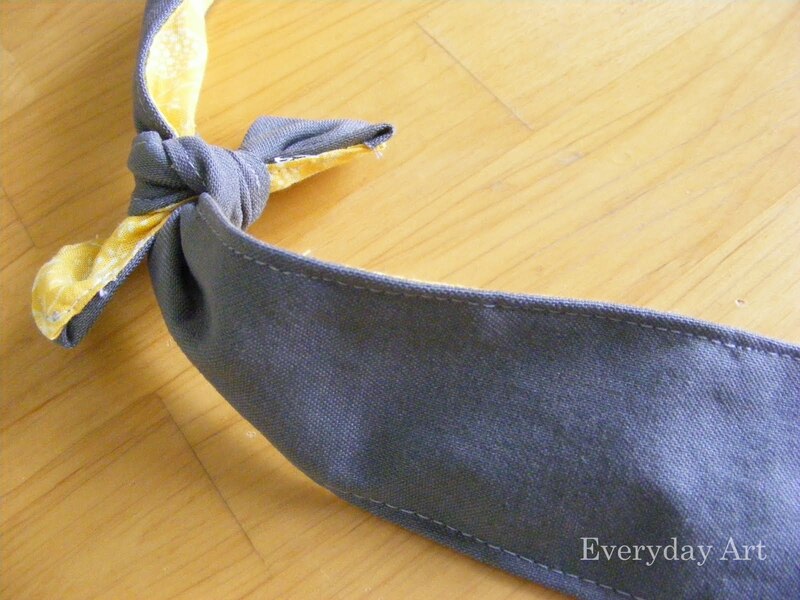 Tie the top of the strap together. 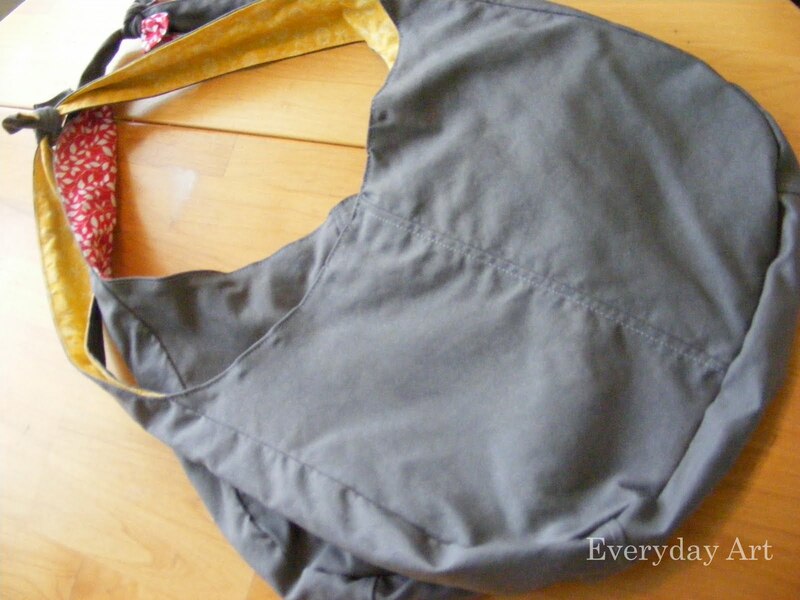 Iron your seams if needed and you're done! to enjoy for the rest of the summer! Here is the pattern. You can use this or make your own whatever size you need. A little explanation on the strap pattern. 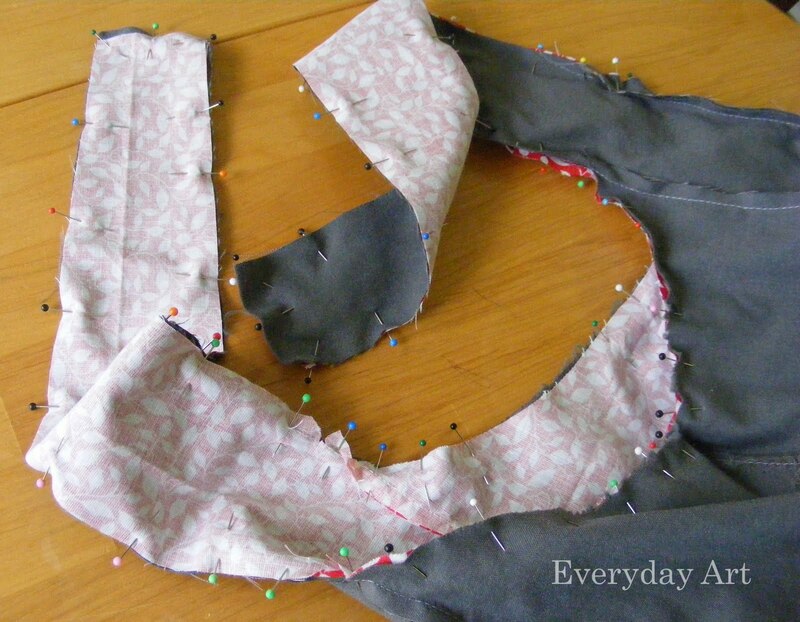 You'll need to tape 4 of patten piece 2 end to end and one of pattern piece 1 on each end. (Basically you end up with a piece that's 3 inches wide, 60 inches long, and tapered on both ends.) Good Luck and Happy Sewing! Very cute! Unfortunately with the new babe in the house I have a feeling my sewing machine may be getting a bit dusty! This is really cute. I love it when a bag has a pop of color on the inside. 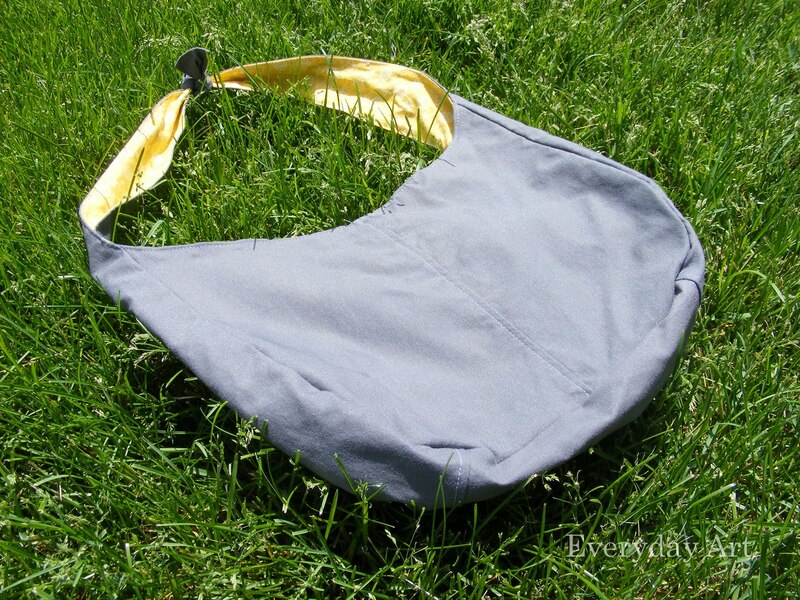 Stopping by from the linky party and am loving this bag! 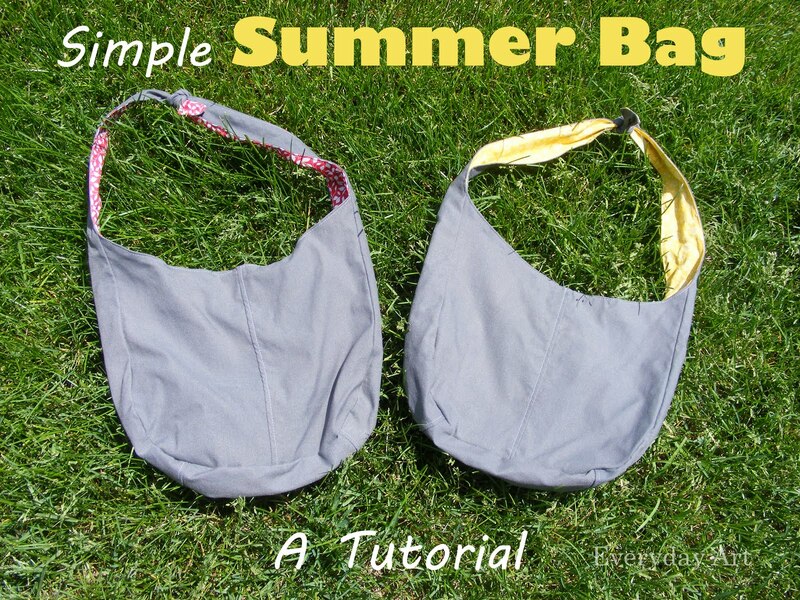 It seems each summer I end up buying something similar from Target for at least $15...now I can make one for much cheaper - thanks! I'm pinning this now! How fun! It's not easy figuring out how to make these, so thank you for sharing this at Fab Friday! simple and lovely! 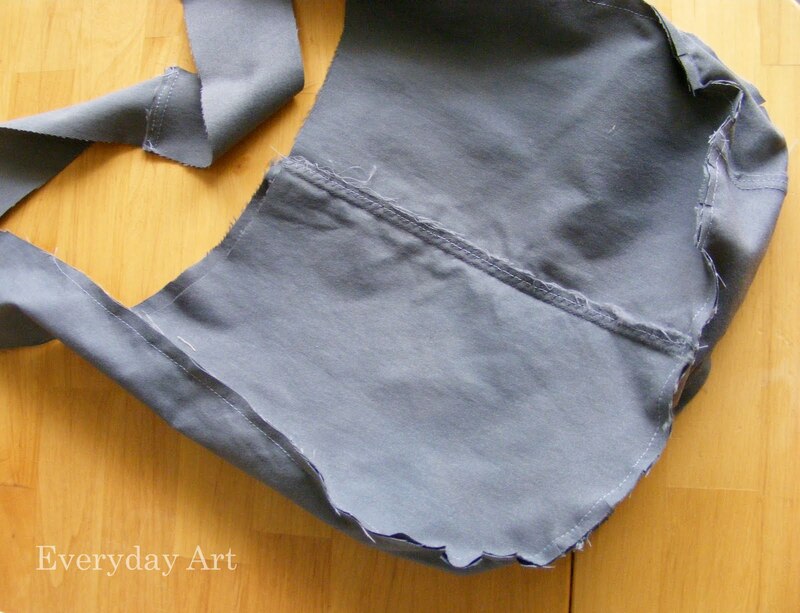 i'm going to get a sewing machine next week and this may need to be my first project!